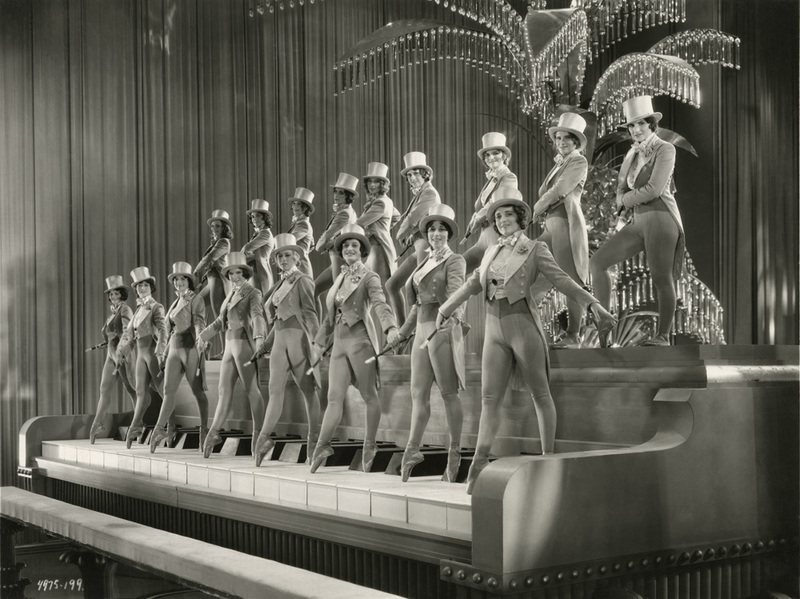 In 1930, a struggling Universal Studios hitched its hopes for resurrection to two mega-productions: one, the dark anti-war epic All Quiet on the Western Front the other, a frothy Technicolor musical revue called King of Jazz. While the former would go on to become one of the most universally lauded films in cinematic history, the latter would have a more complex trajectory. In a new book, James Layton and David Pierce tell the story of this unusual film and the recent restoration that brought it to life again. 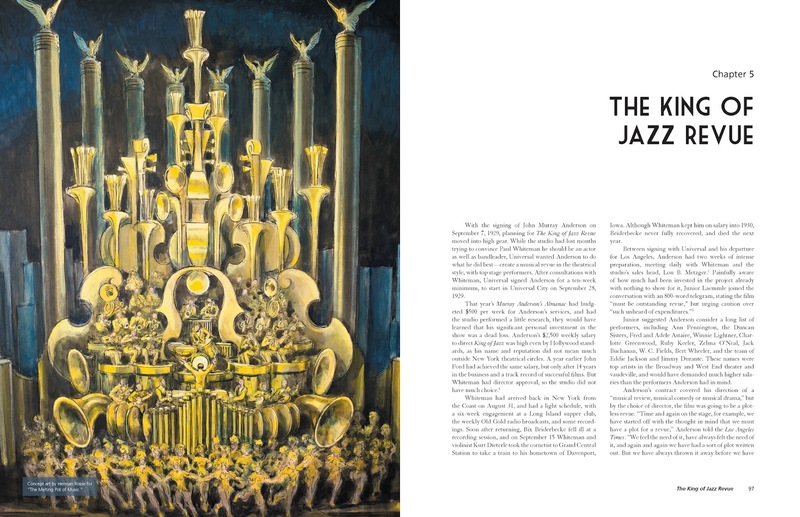 King of Jazz the book begins with the story of its players: Universal Studios and its father-son team of Carl Laemmle and Carl Laemmle, Jr.; director John Murray Anderson, who came fresh to movies from the stage; Paul Whiteman, the enormously successful band leader who is practically forgotten today; and the diverse cast of vaudeville players and rising stars in the cast. At the time, Whiteman was the major draw. 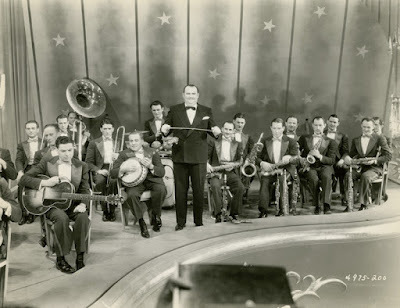 Wealthy and in demand, with a string of number one hits and several satellite bands traveling the country, the rotund band leader with the tiny mustache was a star. Today, he is best remembered as the man who commissioned Rhapsody in Blue, a version of which is the centerpiece of the film. As the decades passed, and King of Jazz has seen various reissues, including a home video release, Bing Crosby has emerged as the face of the film, though he only appears in a few songs as a member of the Rhythm Boys singing trio. King of Jazz requires some explanation for modern audiences. Rather than make Universal contract players attempt to be musical stars, as had been the case with most revues at other studios, director Anderson, with the exception of Universal crooner John Boles, pulled his performers from vaudeville. And so you have acts like the German sibling act The Sisters G, comedians William Kent and Grace Hayes and cabaret artist Jack White, all presented like the greatest stars you have never heard of. There are also the so-called "blackout" acts, brief, sometimes seconds long comedic skits that zing out a punchline before flashing to a black screen. This is where Universal stars, like Laura La Plante, made the most significant contribution. This vaudeville tradition, with its blink-and-you'll-miss-it speed, makes a lot more sense with a little explanation. One of the best aspects of the book is that it does translate the meaning and importance of the stars, traditions and style of the film for modern audiences. Understanding these elements can increase the enjoyment of a film that otherwise can seem to zip along with little reason or form. It goes into the history of its players, placing the studio, band, performers, and Whiteman especially, in their various industries and explaining how they all came together. 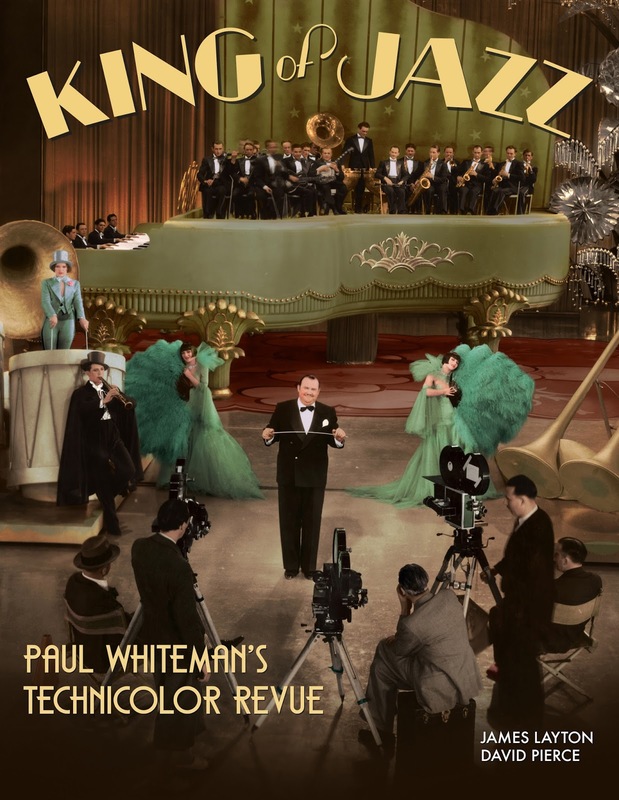 King of Jazz explores different prospective versions of the film and describes in detail the various ways the studio created tailor-made versions for foreign audiences. It also digs into the differences between different releases of the film, which has seen a lot of cuts and re-editing as it has gone from re-release and television to video cassette and the recent reissue. An appendix goes into the geekiest of these details, outlining different sources for restoration, cut scenes and production histories. The book is modest in its assessment of the film. There is no claim that this rather jumbled spectacle is a universal classic in need of enormous revival. 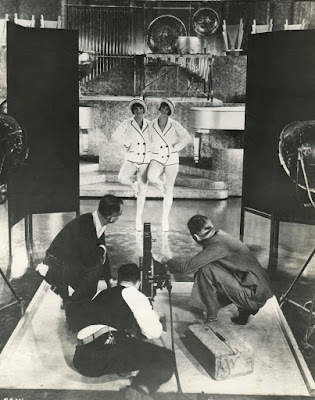 It makes a strong case for its appeal though, from the cheerful skill of its performers and the fun of seeing Bing Crosby in his first film role to the stunning designs of Herman Rosse, who won the Oscar for best Art Direction for his work on the production. One of the most useful and enjoyable sections of the book is the scene-by-scene synopsis which describes, and occasionally illuminates the action of the film from start to finish. I found I enjoyed King of Jazz much more after reading this chapter. It's a nice-looking book, loaded with photos, posters and advertisements which all help to tell the story of the film. For the most part I found the formatting pleasing; I liked the full page photos and the balance between photos and print materials. However, the print is very small and sometimes I found it a strain to read. I also found it difficult to make out the details in some of the photos when they were arranged, two or more to a page. Perhaps there is some economizing at hand there, but I would have liked to have seen full-page photos for at least the stills of the larger production numbers, rather than the portraits and dual shots of performers the book favored for full page reproductions. So much of the magic of this film is in the look of it. While the rough copies of it that have been floating around over the years provide mild entertainment value, the musical is vastly improved when viewed in a restored version. I've yet to see the full restoration, but the few scenes I have seen give it the feel of an entirely different film. 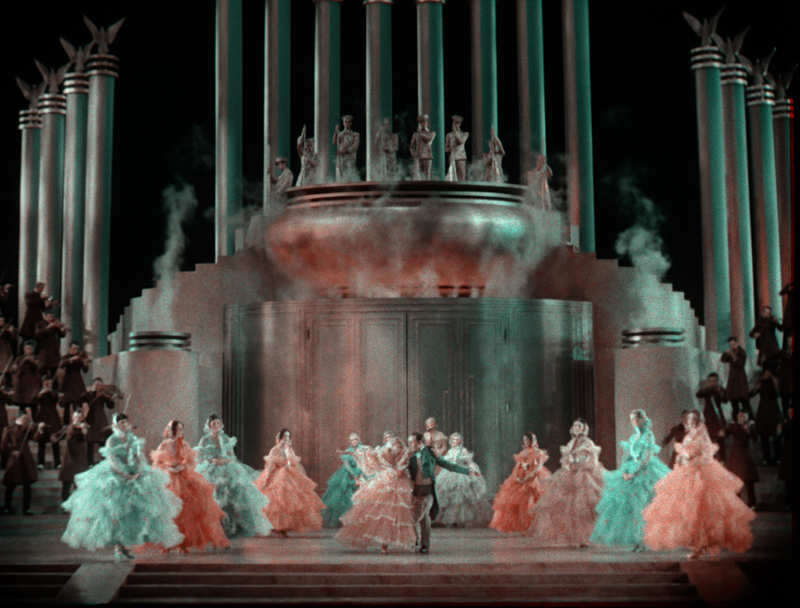 When properly presented, the two-color Technicolor cinematography and the elegant simplicity of the sets enhance the action in an almost magical way. The book describes the journey to this dramatic transformation in such an engaging way that I can't wait to check out the restoration. Many thanks to Media History Press for providing a copy of the book for review. 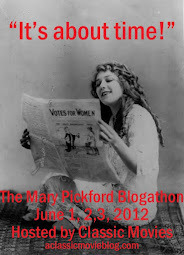 Images courtesy and property of Media History Press.